We won Technology Consultancy of the Year at the SABRE Awards EMEA (again)! 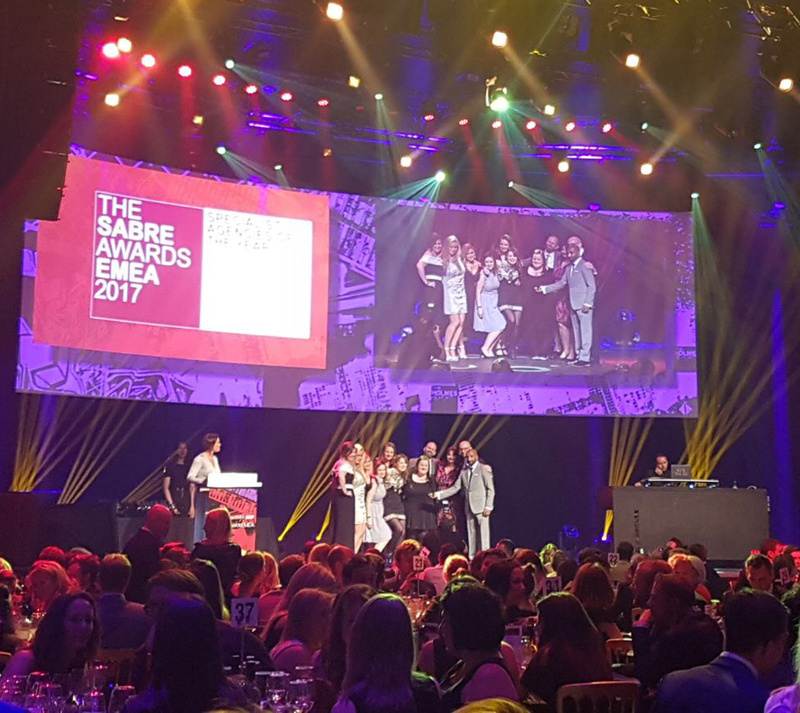 As if feeling summer in the air wasn’t enough, we’ve only gone and won Technology Consultancy of the Year at the SABRE Awards EMEA for the second year running! After a 2016 that Holmes Report described as “another standout year,” we fought off some tough competition from the likes of Octopus Group, Chameleon and CCGroup to take the win. This is on top of four nominations that reflected our standout campaign work with Fujitsu, Salmon and Azimo, the latter of which also picked up a best meme win at the In2SABRE Awards. I could not be more proud of everyone at Harvard for helping to make this happen, particularly when I look at the journey we’ve been on as an agency. In 2011 we were just 14 people. Since then we’ve grown our revenue every single year and now have no fewer than 50 employees across the business, with plenty more still to join in 2017! Throughout that time we’ve always maintained a clear vision: to be a specialist agency that focuses only on technology expertise, which makes being nominated for tech agency of the year the last three years, and winning it the last two, all the more important to us. None of this would be possible without people – our employees who put so much passion and energy into everything they do, but also the clients and industry peers who inspire us to keep learning and growing and doing great work every day. It’s not all about taking trophies home, of course, and that’s by no means our only motivation. Whatever the outcome of an awards night, I always love seeing all the brilliant stuff happening across our industry (and if nothing else it’s a good excuse to have a glass of champagne and a dance on a Tuesday night!). Huge congratulations to all the other winners and finalists on the night – roll on next year!